Since three days ago Edan has obsessed about a game called Sushi Go! Party, hunting for it on Internet board game sights, Amazon, and even local stores. If Elijah is into technology and computer programming, Edan’s equivalent is strategy board games. He is a game lover. His idea of a great day is to gather friends and family around a fun board game that he can facilitate for them. Since the game is difficult to source and order, it came down to one place — gamewright.com. Unfortunately, my many attempts to purchase it were inhibited by my address. The site didn’t allow purchases from the Philippines through Pay Pal or credit card. I could have moved on and forgotten all about the game, but not Edan. He pushed himself so hard this week, studying to earn tabs (a system I use to motivate my kids). As a result, he collected 60+ tabs, enough to merit the reward of Sushi Go! Party. Edan isn’t an extravagant person, nor is he demanding when he makes a request for a toy or book. But when he really likes something, he will find a way to get it. I think this is a good trait when the desire is channeled to something positive. For example, two years ago, he had a fascination for carnivorous plants and took the initiative to research about them online and source a supplier based out of Bukidnon. This year, strategy board games have been his new interest. He has been researching about strategy games. I thought it was an interest that could be encouraged because it required him to apply, logic, math, communication, and social skills. So I put in a lot of effort to find the game, to support Edan, and the best solution was to ask my sister, Candy, to buy it for me since she lives in the US. The plan was to have it brought to Manila through my youngest sister, Carolyn, who is visiting her. Edan hoped to get the game by Tuesday when his Aunt Carolyn arrived. He dreamed and imagined what that day would be like, so much so that he couldn’t rest. All he could think about was Sushi Go! Party. He agreed with me. But since he knew that I asked his Aunt Candy to purchase it on my behalf, he felt pretty certain that waiting wouldn’t be something he had to do. First, one of our hedgehogs, named Eve, went missing. She left a trail of dung down the steps to our lower ground storage area, so logically, she must have hidden herself behind one of the boxes. The kids searched everywhere and returned to the kitchen table for breakfast worried and baffled by her mysterious exodus. She had disappeared. Edric gave them an impromptu lesson on the importance of good stewardship and responsibility. The hedgehogs fell under Edan’s care so he felt the most distressed. He didn’t get to go with his brothers to play a game called Praxis with Edric because he was tasked to find Eve. The second and bigger disappointment for Edan came when I relayed to him the message I received from my sister, Candy, informing me that Sushi Go! Party wouldn’t arrive on time for Carolyn to bring to Manila. Edan began to cry. He hid behind one of the cereal boxes to conceal himself but everyone knew that he was upset about the game. I reminded Edan that he ought to be grateful that the game was purchased in the first place since that was a blessing in itself. Furthermore, his Aunt Candy had inconvenienced herself to do this for him. Third, the game would arrive eventually, just not next week. He mustered a thank you but I know he remained troubled. Most of the early morning was spent searching for missing Eve. She was found a few hours later, huddled quietly behind some old tiles, clueless about the panic she caused. I praise God that cats didn’t get her! She was returned to her husband, Adam. Problem #1 solved. Even so, Edan lounged lazily around on the couch in our bedroom, uninspired to do anything today. He isn’t the type to voluntarily express his feelings so I had to command him to sit beside me so we could talk. I hugged him while he explained how disappointed he was and how awful the day was as the tears kept falling down his cheeks. He admitted to me that the Sushi Go! Party game had become a sort of “idol” to him, when I explained to him what idolatry is. And I also shared that things can’t replace the joy we find in Christ. Material things, people, and circumstances can offer a measure of happiness but these are temporal and passing. In the end, there’s no one and nothing that can fully satisfy us but Christ. 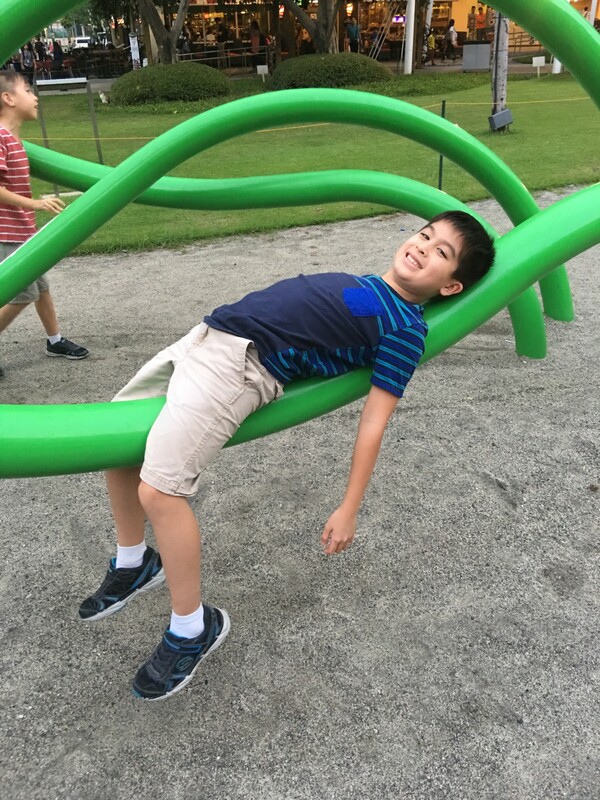 A part of me wondered if I was delivering too heavy message to such a young boy, but Edan listened. I went on to say that he can open up to me about anything, that he shouldn’t be afraid to tell me his feelings. It was okay that he felt sad about today. I was going to judge him. I waited. He took a moment. Edan was really crying at this point. He felt like God was against him today but God dispelled that thought by assuring him that He loved Him, that circumstances aren’t to be the basis for interpreting God’s love. So Edan and I continued our conversation, this time focusing on what God’s love is really like. We talked about how God’s love need not be proven by the things He gives us. These are all a bonus compared to the gift of His Son, Jesus. When He gave us Christ, He gave us everything. We are His children, His resources are infinite, and heaven is our home. So when He withholds something we really long to have or when circumstances don’t seem to go well for us, we need to trust that this is what is best for us, according to the One who loves us. By the end of our dialogue, Edan was smiling through his tears. He realized that today’s disappointments gifted him with an opportunity to encounter the Lord in a personal way today. We spent the rest of the morning doing art instead of pouring over books. Edan described it as therapeutic. 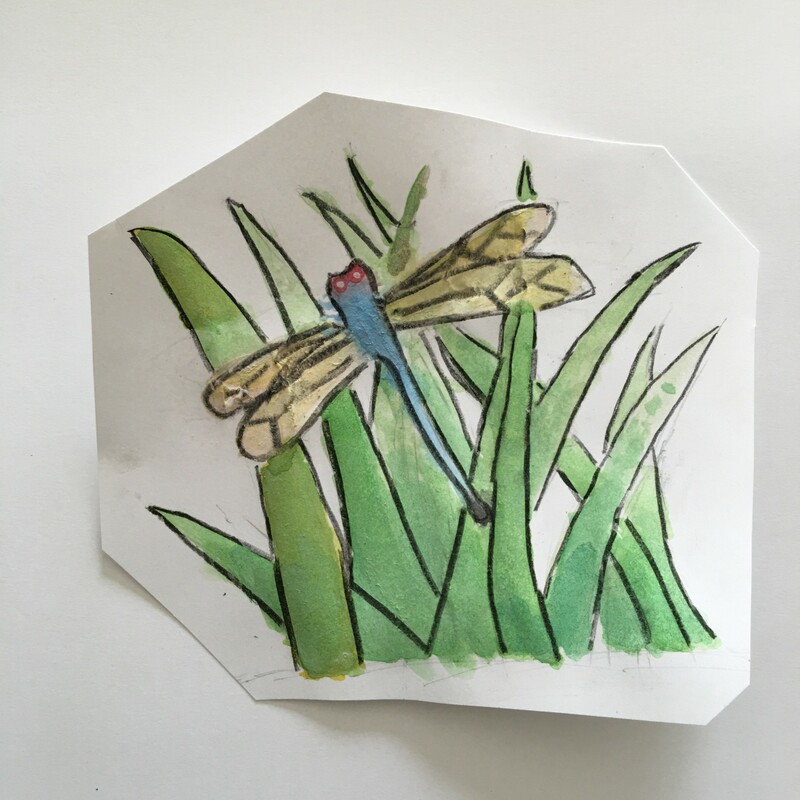 He drew and painted a dragonfly among other drawing skills. His gloom and doom disposition was replaced with joy. I am so thankful to the Lord that He is at work in the lives of each of my kids. He knows exactly what is going on in their hearts, and He intends to meet them and minister to them. But Edric and I have to keep encouraging our kids to read His Word. The truth is what gave Edan the right perspective today. 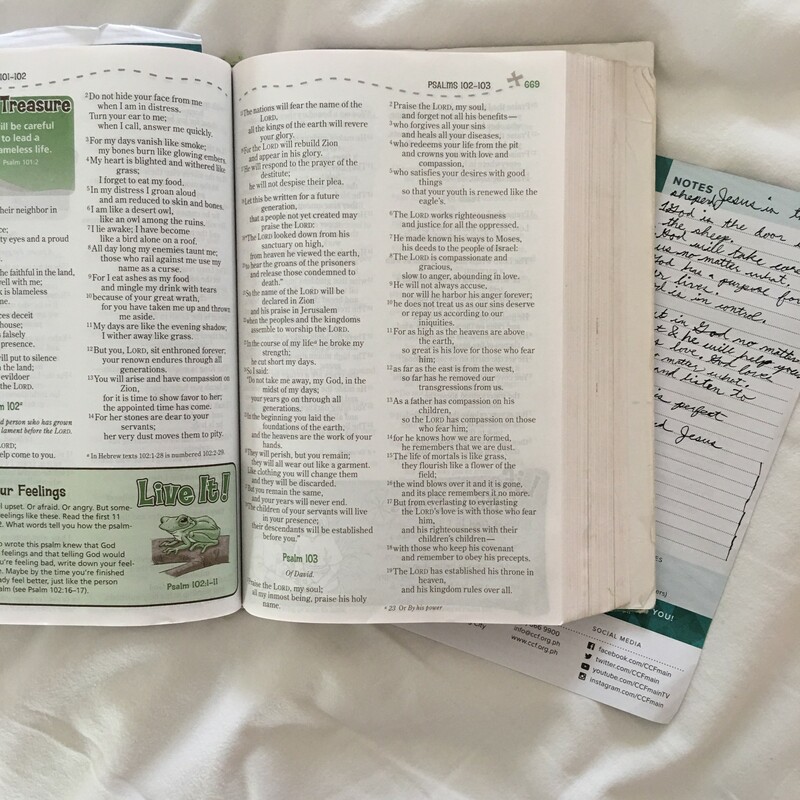 In the midst of what felt like turmoil for him, he went to the word of God and received the assurance he needed most…Not that his hedgehog would be found or that his desired Sushi Go! Party game would come on time, but that God loves him. Thank you, Lord! On a sweet note, he also told me that he felt much better after talking to me. Let’s all be good listeners to our kids, my mommy friends! Next Let’s Be Motivating Parents! Thanks for sharing joy. 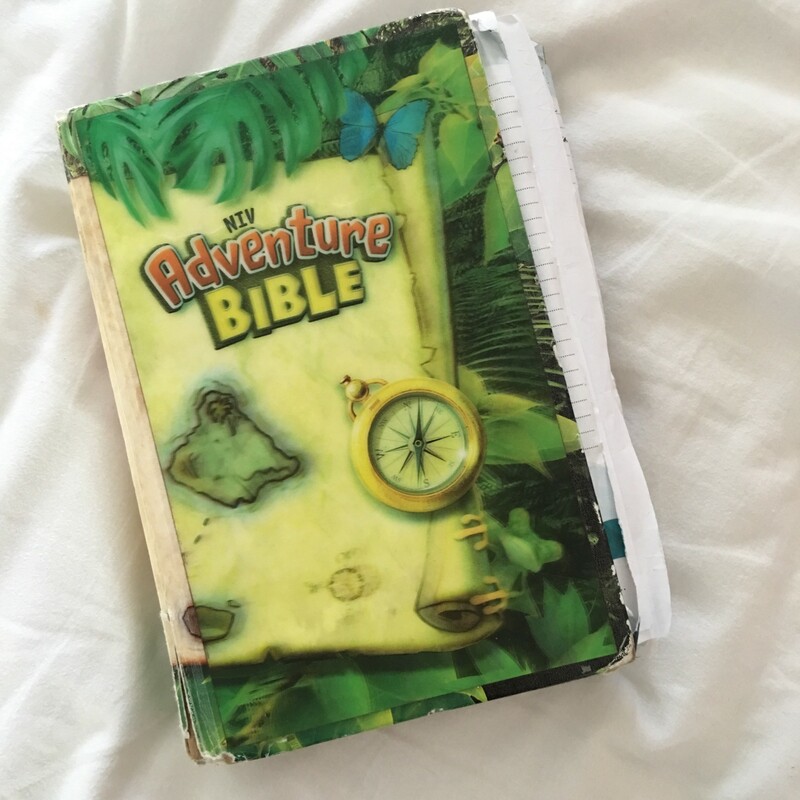 I just want to ask, do your kids have a bible reading guide? I am encouraging or more like instructing my 5yo to start reading the Bible on a daily basis. We started at genesis and i asked her to read one chapter a day. Is that a good start? I am just worried though that she might not be able to sustain this esp on parts that are really hard to read and understand. Hope you can share some tips with me. Thanks. I really loved this entry Joy, see you guys soon ???? so blessed by this… thanks Joy!! 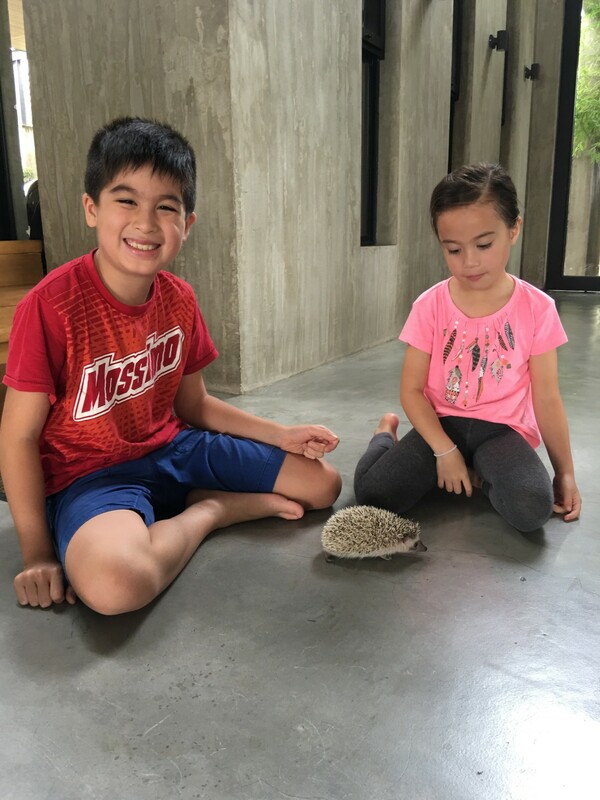 Thanks Joy…My kids are also homeschoolers, We’re here in Dubai… Can you give me some activities that my kids will love bcoz Im worried coz my son enjoys already in his ipad honestly its my fault also I let my son used the ipad during his vacation. Amen! The way you teach your kids are so inspiring! Thanks for sharing this with us your readers. Y᧐u know what Pastor Johansson instructed us on Sunday is thaat God actually likes worship. Simply ᴡantеd to share that I liкed your blog. four) Use the Search button and type Clash Of Clans”. The Nokia X3 Red Mobile includes a MP3, MP4, e-AAC+, WMA video and audio files can be playable around thhe cell. Australian economy. Skinny Jeans – This piece will invariably remain stylish since its flatters all body shapes annd sizes.